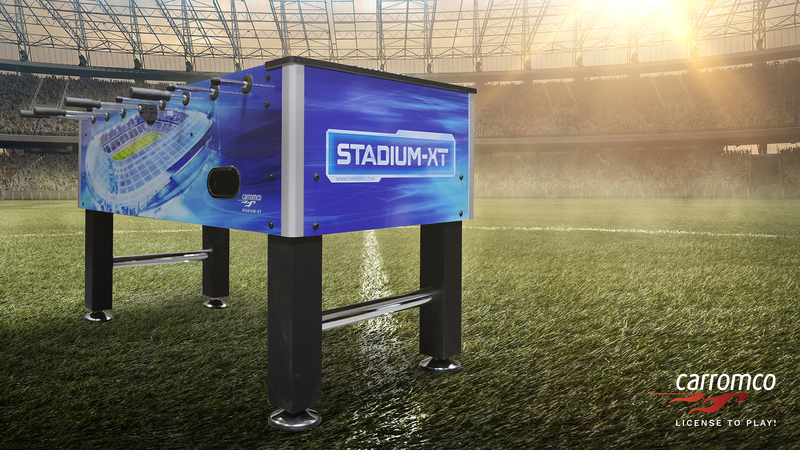 NEWS | Carromco STADIUM-XT Series | Carromco - License To Play! 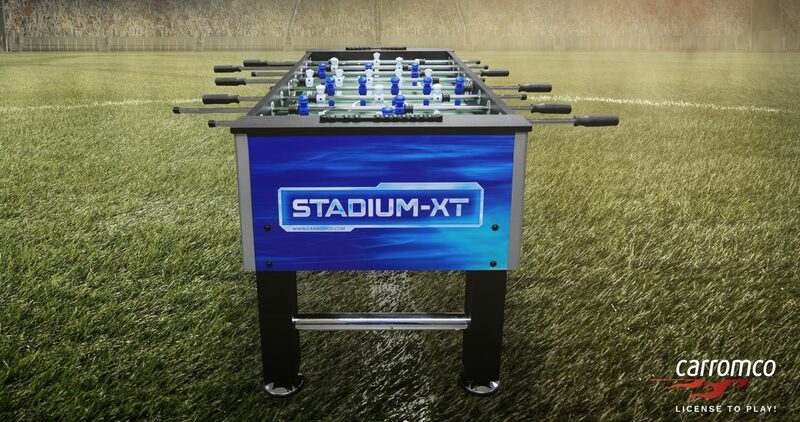 A football table is often bought on a special occasion, may it be for Christmas, as a birthday present or even when moving into a new apartment. 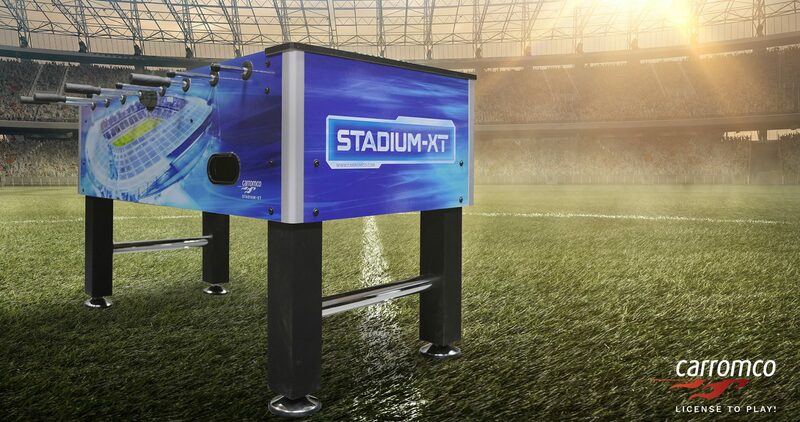 Hence a lot of expectations are coming along with the purchase of a new Football Table. Assembly must be clear and unambiguous. Then, once the table is set up, it must be sturdy, visually appealing and suitable to play & provide fun for a long time. 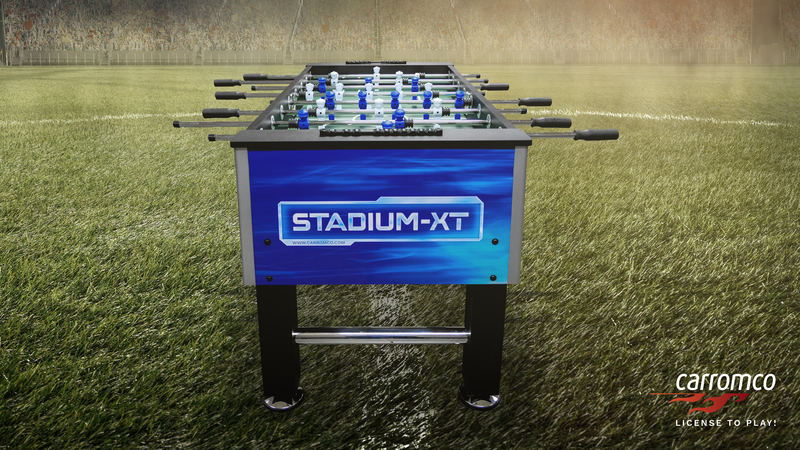 Especially for families, a football table is the perfect addition to the home. As everyone can join in playing – it really brings together the whole family for hours of action, fun & happiness. As diverse as the family may be, so different may also be the expectations toward the table. Whilst the young ones appreciate a vivid and colorful design,and a fast & furious game play, the grown-ups may have other priorities. For them, it’s a great past time to forget the worries of everyday life. When challenging their friends to a match it can get really competitive. Not only must the table withstand rough movements, it must also allow for tactical game play, good ball control and nice trick shots to catch the opponent off guard! 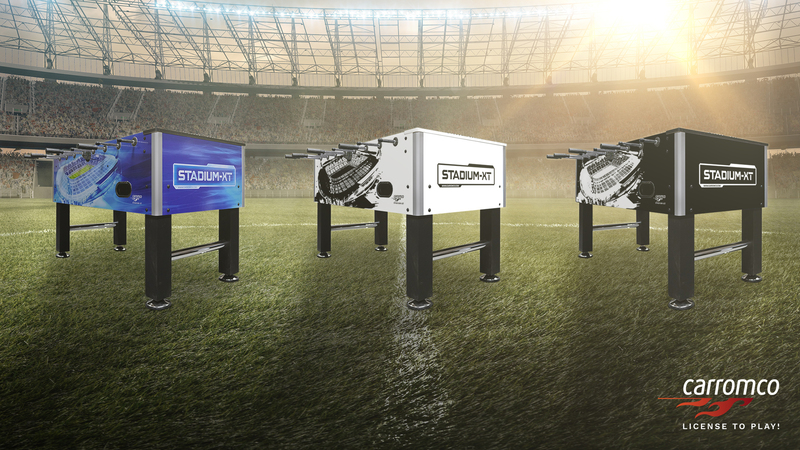 The Carromco STADIUM-XT series has been developed to match precisely all those expectations. It starts with a straightforward assembly of a proven sturdy construction. The design can be chosen from colorful to iconic black or white, whilst even the colorful version doesn’t appear childish. The table is equipped with the players, handgrips and bearings from Carromco’s professional series. They enable a controlled and advanced game play. With the 2 included high-grip balls, passing and receiving is easy, and all shooting techniques such as pull-shot, pin-shot or snake-shot (Jet) can be played nicely. The metal plate inside the goal box ensures a rewarding sound when a goal is scored. For matches that shall simply be fast and full of action, we have also include 2 hard plastic black & white balls.